OFFICIAL BOOK LAUNCH AND BOOK SIGNING AT WINTER WALK DECEMBER 5, 2015, 217 WARREN ST. HUDSON, NY 12535 FROM 5- 8 P.M.
A journey begins with leaving one place and venturing forth toward a new one. Millions of immigrants left their homelands in the nineteenth and twentieth centuries to seek the promise of a better future in America. Why did they abandon their homeland? Some fled from political oppression or slavery, others sought work or the possibility of acquiring land to farm. Those who entered the Great Hall on Ellis Island did so with fear in their hearts and hope in their eyes. Barbara Ann Mojica is a historian who holds graduate degrees in history and multiple New York State certifications in education. Now a retired educator and principal, she is staying busy by writing historical pieces under the banner of “Passages” for The Columbia Insider, a biweekly news magazine and developing her series of children’s books featuring the Little Miss HISTORY character. 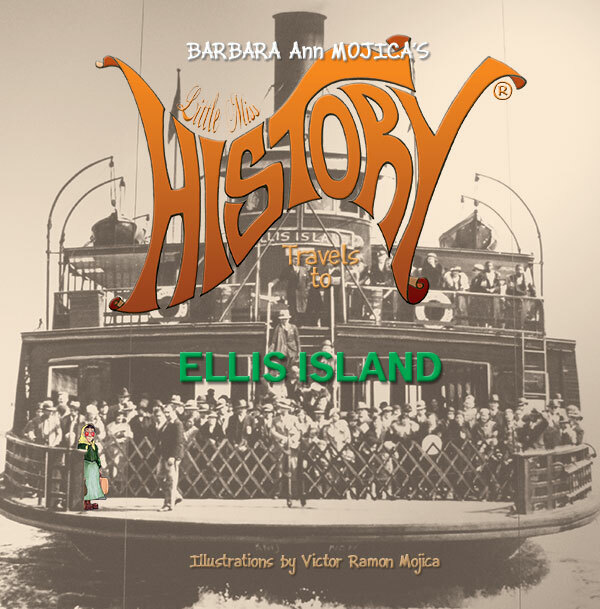 Marrying her love of history and teaching, Barbara hopes that her Miss HISTORY character will inspire children and adults to learn more about historical people and visit these landmarks. Barbara also finds time to read and review books twice weekly on her blogging page.